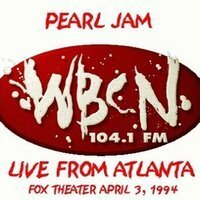 1) The entire Pearl Jam in Atlanta radio broadcast from 1994. His recollection of being a Pearl Jam nutso fan in 1994 almost exactly parallels mine and both the personal musings on the post and the concert were a great find. Like the Counting Crows boot I posted last week, this was also a concert cassette that I listened to enough time so as to memorize all the concert banter, and many of these tracks are what I think of as the definitive live performance of each. 2) A Matt Nathanson shout out with some information on his new live album, an accurate description of why his shows are so awesome, and even some video. I have been listening a lot lately to some of the live shows from Matt that I have downloaded off the Live Music Archive and really getting more into him. His song "Answering Machine" is beautiful. 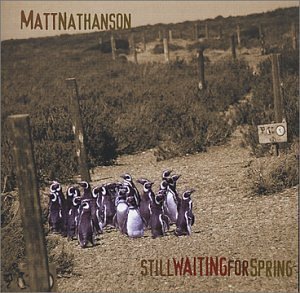 So lovely, in fact, that I just ordered the album it is off of: Still Waiting For Spring (1999). Recorded partly at Prairie Sun Studios and the rest at John Vanderslice's Tiny Telephone Studio in San Francisco, with David Immergluck (Cracker, Counting Crows, John Hiatt) playing all the electric guitar, mandolin and pedal steel and Charlie Gillingham from the Crows playing the organ, chamberlain, piano and mellotron on about half the songs. I didn't know that until recently. Not too shabby of a backing band. 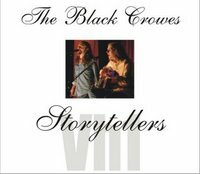 3) The entire Black Crowes acoustic show from VH1 Storytellers on August 27, 1996. Killer setlist and two great covers (Gram Parsons and Rolling Stones). 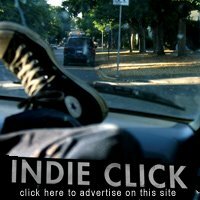 The hits just keep coming from this great blog. Well done, my friend. muchos thanks for the feeder clip!! OH YESSSS!!! I had this concert on tape as well! Taped it off the radio, and I literally wore out the tape. This and August and Everything After were the only 2 things in my tape deck that whole year. Thanks SOOO much for posting this. ...referring to the PJ show, of course. PS Glad you got PJ tix through Ten Club. Fan club tix for Philly sold out so fast that I couldn't even log into the shop to get 'em before they were gone.